First of all, there’s a very simple fact to realize: interactivity means concurrency. Haskell is a language of easy and natural concurrency, thus it is silly not to use it when appropriate (the case of an interactive application is more than appropriate). The second topic is the UI choice. 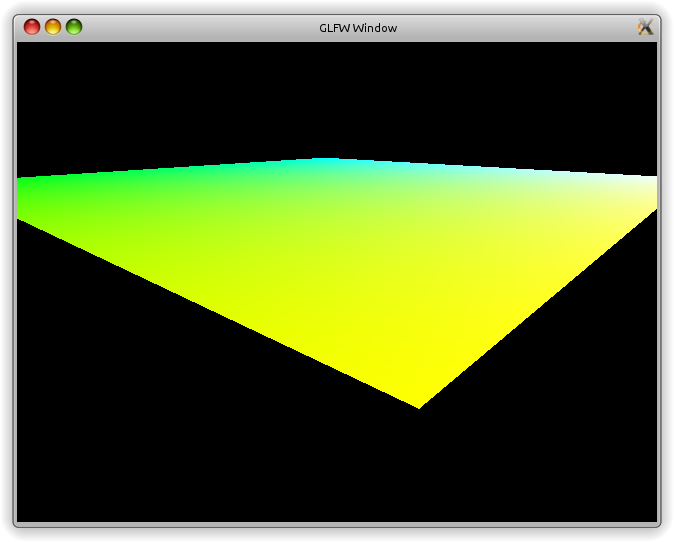 Traditionally people use GLUT for introductions to OpenGL programming, but there are better alternatives like GLFW which is quite similar to GLUT, but being more actively developed. See the discussion. I assume you can use another excellent introduction to GLFW to get a barebones example running, so let’s start with a stub like this. …is that we can keep the events in STM communication channels, created with newTChanIO :: TChan StateChange. This channel is passed to events callbacks as the first parameter: e.g. GLFW.setKeyCallback gets a partially applied function with full type TChan StateChange -> GLFW.KeyCallback (that is the same as TChan StateChange -> GLFW.Key -> Bool -> IO ()), thus the callback knows the channel to write into. The same channel is passed in the mainLoop, enabling it to read events from the channel. Actually, we won’t use explicit forkIO because callbacks already are asynchronous. The tool we need is message passing: all information about user’s input will be stored in message passing channels: a callback writes information about some event to it, the main thread reads it and changes its world before rendering. Using STM, we’re guaranteed that there are no deadlocks and race conditions, though our case is very simple and it may be an overkill. What our world will be? I want to be able to walk around it and see a primitive feedback. So, let’s assume we have a horizontal platform of size about 20×20 meters, the camera view from altitude 1.8 meter above the platform looking in any direction (changing it with arrow keys) and moving forward/sideword along the look direction with w/s/d/a keys. Also I needed quite a bit of helper stuff, like toMicroseconds and glVertex3f, glVector3f, which is accessible by the link below. This is a raw version of the code, it does not handle key releases and has a bit of rough corners, but it works without ugly hacks like emulation of global variables through IORefs. (Disclaimer: I am very obliged to author of this article for great introduction into GLFW and for GLFW initialization code I used). You can find the full source on GitHub. Thanks! This is great. I’ve been considering an approach like this for a small arcade game I’m making, so it’s good to see how other people implement it. Have you run into problems with only handling one event per frame? I think the handleEvents function here is wrong, it’s a little different from the version in github. Yeah, I’ve been playing with the code in the last hours and changed the `handleEvents` implementation to handle all messages. Honestly, I don’t know how good this approach is. Possibly, some of advanced haskell libraries already uses a similar approach. Possibly, I’m heading astray and people will show me that this way is incorrect. And yes, I have had very little experience with Haskell multithreading yet. I stumbled on your site looking for a way to handle key releases, as it seems like GLFW is buggy when I try to use them. The callbacks never get caled with Release as the keys state. 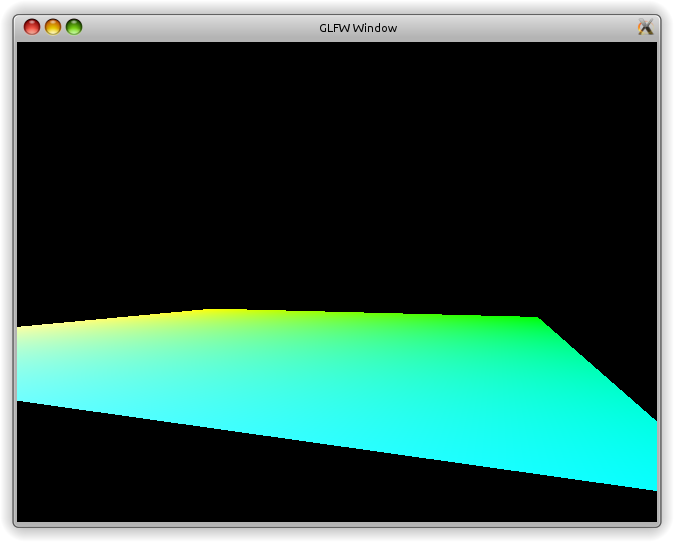 This worked well with GLUT, but not with GLFW. Have you looked into this? The code is rotten now, though (glfw-b seems changed). Module `Graphics.UI.GLFW’ does not export `initialize’.